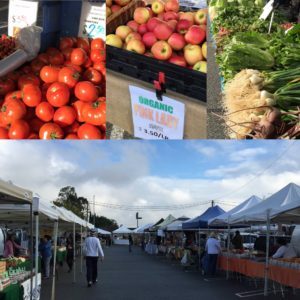 It’s long been my favorite of our many good Orange County farmers markets, something that remained true today when I stopped in: the Friday Laguna Hills market, at Laguna Hills Mall. It was the first day of a new, construction-accommodating configuration near JCP, nicely visible from Carlota and the 5, that displays the superb vendor selection and ingress/egress ease to fine effect. I love it because it’s a real cook’s market—which is SO not to say you shouldn’t avail yourself of the fab prepared food. Just be sure to take home a couple big bags of raw ingredients, to fuel a weekend of great cooking. 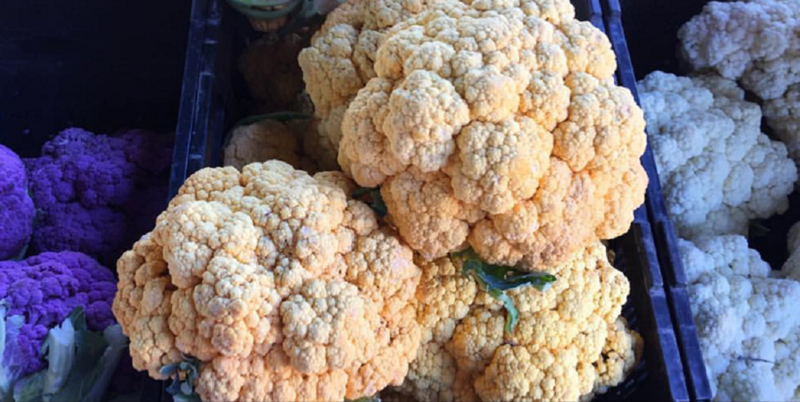 Cauli is where it’s at, at the moment. These were at Laguna Niguel/Aliso Viejo on a recent Sunday, but you’ll find ‘em at all O.C. farmers markets. I nabbed that big yellow one in the center there. Rinse, slice, onto a baking sheet, generous salt & pepper, drizzle with oil. 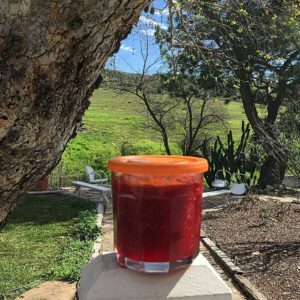 400̊ for 15-20 for retaining slight crispness, or longer at 375̊ to utter tenderness and deep caramelization—my favorite result.